It’s time for celebration after a three-month break for maintenance. The largest particle accelerator in the world is back in business. This time around, scientists at CERN, the European Organization for Nuclear Research near Geneva, hope that more power in the Large Hadron Collider will open the path for new discoveries in fundamental physics. The revamped LHC allows them to test previously untestable theories and search for more new particles. “We really had to reboot the whole machine in 2015 and that was a lot of hard work to do all that. This year, after a thirteen-week stop, we expect things to be a lot easier and they have proven to be a lot easier. The powering tests have gone well, machine check out has gone well,” says LHC machine coordinator, Mike Lamont. 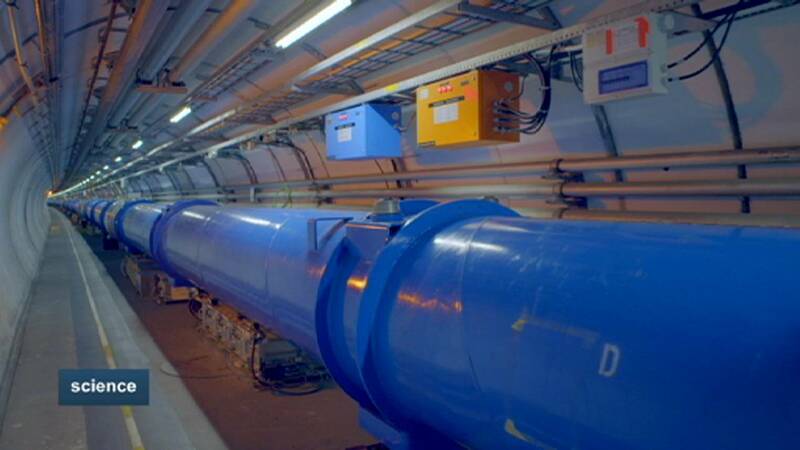 Beams are made of “trains” of proton bunches moving at almost the speed of light around the LHC’s 27-kilometre ring. By sending bunches around the ring, the LHC is able to generate collisions, from which scientists study the basics constituents of matter, the so-called fundamental particles, to try and provide answers to elusive concepts such as the origin of the Universe and its composition. The aim now is to increase the beams’ intensity and luminosity. “For sure 2016 will be a very exciting year. I expect a lot of data. (2016) is called the “Luminosity Production Year” because we will push the luminosity. So I expect a huge amount of beautiful physics results,” says CERN Director General, Fabiola Gianotti. Among these new results could be a potentially ground-breaking discovery which scientists are currently giving a second look at: a possible new fundamental particle first sighted late last year. If proven, its existence would profoundly reshape existing physics theories.